Tim Wellens has won the queen's stage of the Eneco Tour gewonnen. His solo win also lands the rider from team Lotto-Belisol the overall lead. 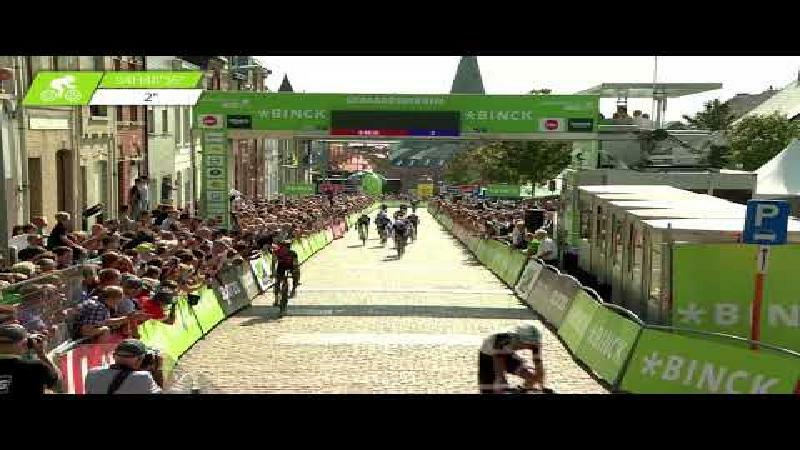 The peloton started the sixth stage in Heerlen without Fabian Cancellara. The Swiss rider needed some rest after the tough first five days. Stage winner and former points jersey Andrea Guardini didn't start anymore either. 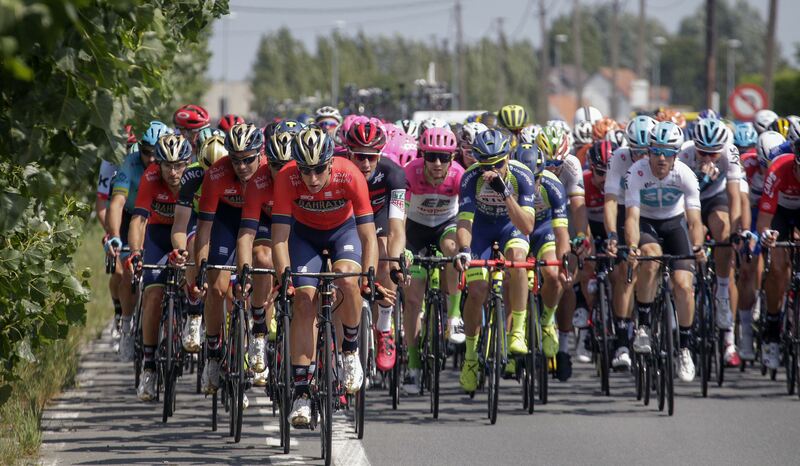 In Heerlen, the peloton consisted of 142 riders. Riders attacked right from the start, in part due to an intermediate Primus sprint after 7.7km. Current wearer of the black jersey Kenneth Vanbilsen did not want to miss out on the right breakaway and he joined Tom Boonen, Nathan Haas, Nick Nuyens, Alex Dowsett, Davide Cimolai, Moreno Moser and Kevin Van Melsen. Vanbilsen claimed the points he needed for the Primus ranking and together with his fellow escapees extended a lead of nearly 8 minutes. No one from the breakaway was a threat to the overall ranking, Dowsett was traling Dumoulin by 9:19. At the front Haas proved the strongest. He jumped on the Côte de Chambralles. Boonen, Dowsett, Van Melsen and Moser were the only ones who tried to keep up with him. In the peloton team BMC tried to wear out the bunch. With 21km left they dropped their own Manuel Quinziato. At the point Haas was the only remaining break. In the background, first Alexandre Pichot and Sep Vanmarcke next broke away from a selected group. 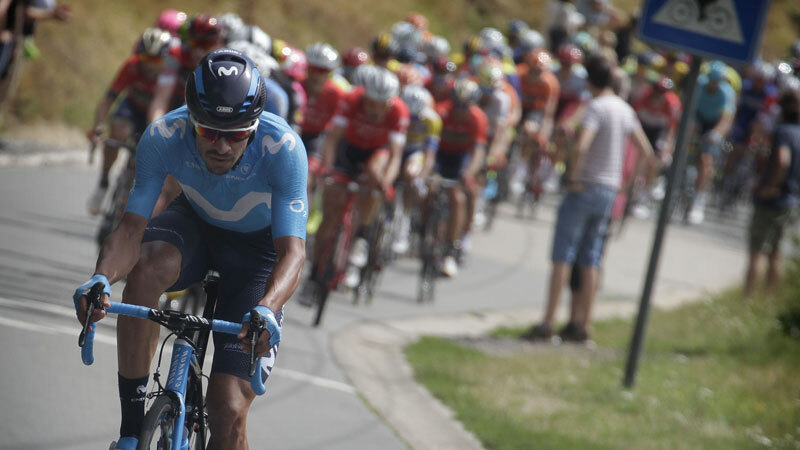 For Haas the stage lasted 16km too long: he was overtaken by a raging Pichot. Arnold Jeanesson and Tim Wellens joined the lonely leader later on. The young Belgian from team Lotto-Belisol proved the strongest and he dropped his French co-riders. Behind him Andriy Grivko and Greg Van Avermaet started chasing the leader. 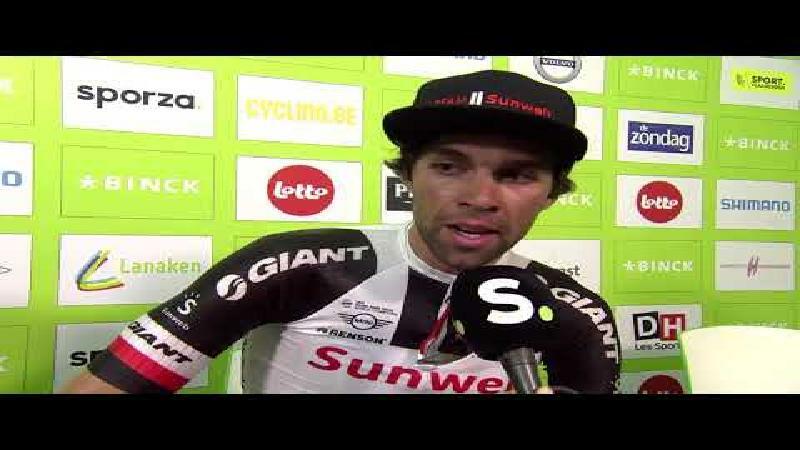 Overall leader Tom Dumoulin bridged the gap together with Lars Boom. 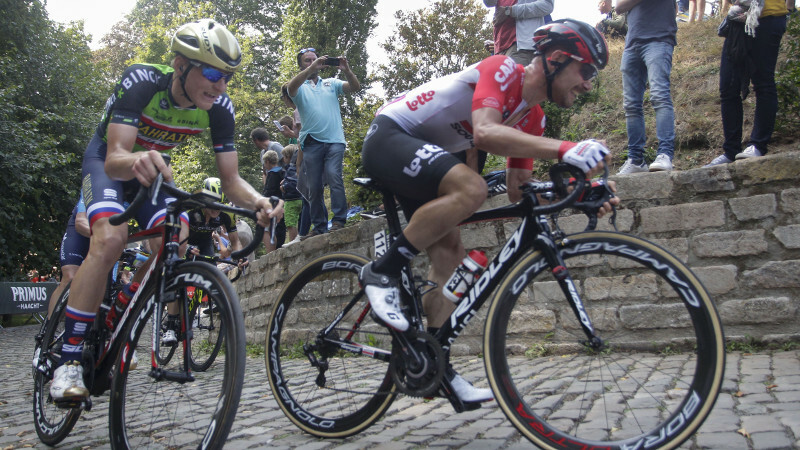 Boom was stronger than his competitors, but Wellens was the strongest of the stage. He clinched a solo win. Fifte second laters Boom followed, but due to the boni seconds Wellens takes on the overall jersey from Tom Dumoulin. The former leader claimed fourth, right behind Greg Van Avermaet.